Showing 12001-12500 of 25730 contests. Create a brand identity for a new healthcare rehab/recovery platform!! Create a modern, sophisticated logo design for a thriving dental office! Create the identity of NCA, a full service cannabis testing laboratory! Combinati needs a modern logo for our Biotech startup! Create a Logo for a Pediatric Dental Office! create a great logo for Castro Performance Center! Inc. Magazine Award Winner Needs Graphic. Convey the concept that we are going to "tune up" your genes. Save lives! Help a Health & Wellness Centre Stand out! FOUNDRY Clinical Group needs a great logo! Create a simple, flat and luxurious logo for an innovative product! How to attract attention of Your father? Create drug package for Him! Branding for a new sophisticated dental office. LifeLink Chiropractic needs a logo!! Need an abstract mascot for our sleep medicine office. Sheep? Clouds? Moon? Use your imagination! Chiropractor Logo - We Want Your Design Input! Help Get People Healthy. Design with a purpose. Inspire personal change with a captivating, health inspired logo! NowBlindGuarantee: Attention Book Cover Designers! Intriguing non-fiction! 5 Free print copies to winner! Help a shrink grow! New psychology practice needs a compelling brand identity. Create a brand identity logo for Surfside Kids Pediatric Dentistry. A safe and fun place for kids. Help saving a human life, get the best logo for this Study on cardiopulmonary resuscitation!!! Create a logo - help save lives! Addiction Center needs a new logo. Create logo for a LEGAL CBD hemp based topical pain reliever! Create an A4 ad to attract Young Dentists to a course to fast track their careers. Design a Logo and Card to introduce a Family Medicine practice to the community!! Bring hope to patients worldwide with medical conditions that are difficult to treat or cure. Creating a logo and website for Vardas Inc.
We help patients live pain free; can you help us with a new logo? Create a design that will be used to help those recover from substance abuse. Compelling marketing postcard for personal portable oxygen system! Create a life saving logo for a life saver! veterinary house calls with style! Professional, fun logo capturing family and reaching the highest potential, elevation or rising up. Make a UNIQUE LOGO . For babies who born in USA, because parent care about their future. building A new orbanic clinic - want it to be hipster.. Create a new Dental company logo and showcase your creative skill! VIP Medical, up and coming start-up with more projects to follow! Create a logo and business card for an emerging Biotech in Boston; ONLY 5 HOURS LEFT!! DESIGNERS - Create a modern and professional logo for dental office. Create a logo for pediatric dental practice: very open to your creativity! Small family dentist looking for a great logo for the office. Create a fresh new logo for me please! Create a logo for PICS Diversity Village! Predict risk, to prevent pregnancy complications. Help us make someone's visit to the dentist a little less painful! Help us help others create lives worth living by designing a logo for our mental health program! Create an organic, warm and restorative feel to the logo for a vitamin and herbal company. Create a design package for women leaving a Gynecologist or OB's office. Create a bold business card for an eye doctor. Create a modern stream lined looking logo for a sports chiropractic and sports medicine clinic. Create an illustration that will capture the eye of an elite athlete! Create a uniquely refreshing logo focusing on aesthetic dentistry! Guaranteed Prize! Condom brand packaging. Create stunning design for new series of Acupuncture Clinics. Create a graphic that helps patients understand a medical process. Design a conference booth for a life-saving drug! In search of the Ideal brand to attract dieters! Create a striking logo for a new collaborative initiative in health care. GUARANTEED PRIZE: Hemp Supplement Needs New Landing Page! Landing Page for Thermo Scientific LabLink xL! Create a logo for a kid's infectious disease practice!!! Create a clean and sharp logo for FreeForm Chiropractic, a health & wellness office. Fresh, clean health blog needed! Create a book cover that will, yes ...Save Lives. Help! Need a great logo to help Mom and Dad live at home longer. Help us launch a new business with a billboard for our Arthritis Clinic. Sophisticated logo needed for top upper cervical specialists on the planet. Design a more eye catching logo than our competitors down the street! Create a capturing entry for a journal dinner dance. Be Creative. Wow us! Zing up an energising brand! A cartoon illustrating the benefits of The Conception Kit. Help make dentistry cool. Modern, Luxury, Warm. Create an illustration with the name and image of a foot and ankle. Create a logo for a scientific research foundation that explores human potential. Expanding Business, with lots of opportunity for work! CREATE A HEALTHY LABEL for our Unique Vitamin Brand! Create an Innovation Challenge Poster for Novian Health aimed at investors. New Jersey Spine & Sports Rehabilitation, L.L.C. 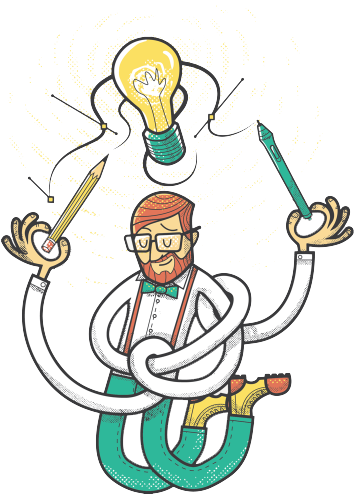 We want to OPTIMIZE our patients' health: calling all creative geniuses! BlueRock Medical is looking for a new and fascinating Logo! Create an eye-catching poster to attract patients for free dental services. Create a exciting logo for an upstart Nutrition Consulting firm "RD Nutrition Consultants"
Create a conservatively styled professional logo for "PERSONALIZED MEDICINE 360"
Create a logo for a small but expanding medical service company. Who has the best logo? Nutrition and yoga practitioner trying to blend west and east medicine. Create a Modern Paramedic design for large association in healthcare. Create the company logo for a Hawaiian pharmaceutical laboratory. Create a hip modern flat design logo that will save lives!! Modernization of Cardiology Practice Logo! Create A Modern But Rustic Brand Identity For My Botanical Extract Company! Thank You!!! Create a logo that conveys medical profession and trustworthy service provision. Create an elegant and effective logo for a new crutch tip that can make millions of crutch users lives more comfortable. Create a brand that will take over the market. Rebrand a healthcare company's logo. Create a logo for a research center specializing in improving the health and welfare of mothers and their babies! Create a book cover to help portray Dr. Eugene Antenucci as an authority in his marketplace. Create a sophisticated logo for a dental specialist!